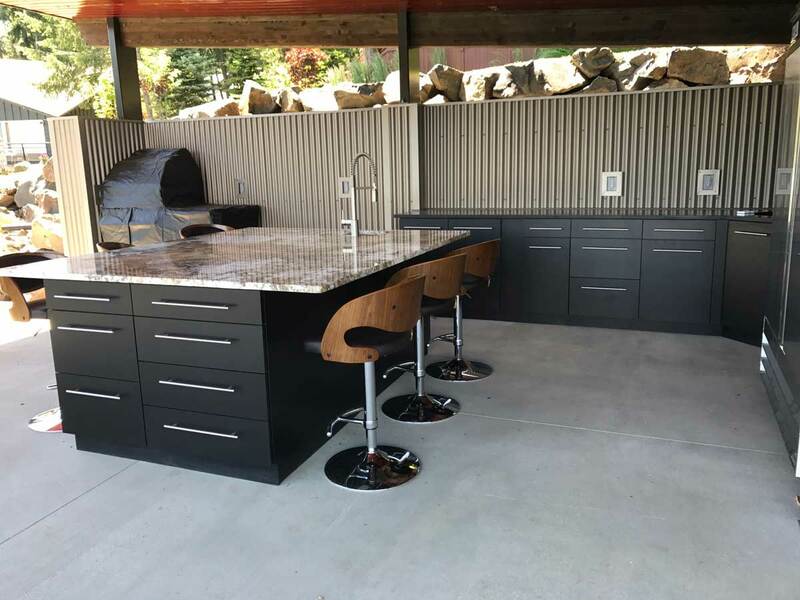 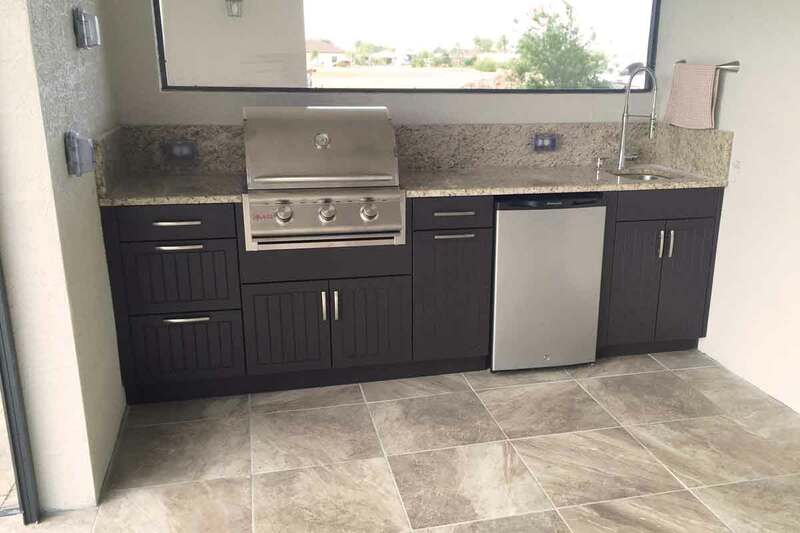 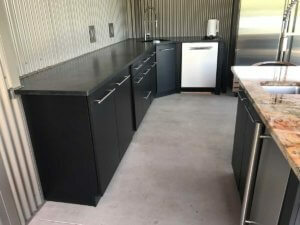 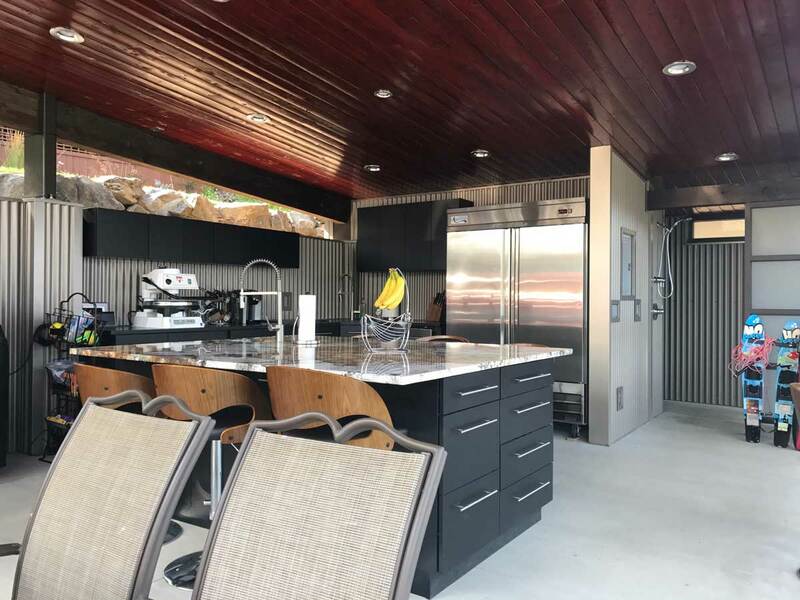 Werever Cabinetry can go from traditional to modern with a simple selection of door style and color, and this project in Montana is an excellent example of a modern outdoor kitchen and retreat. 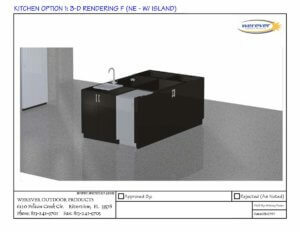 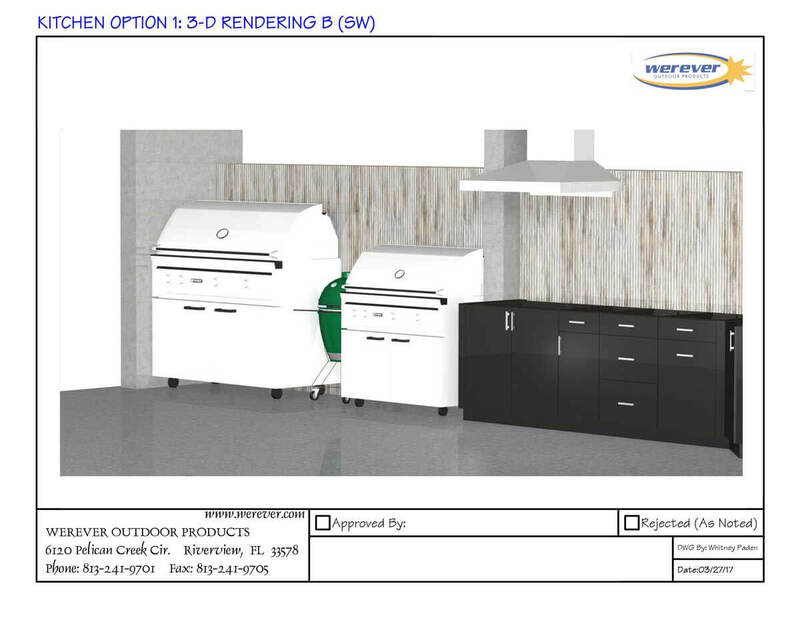 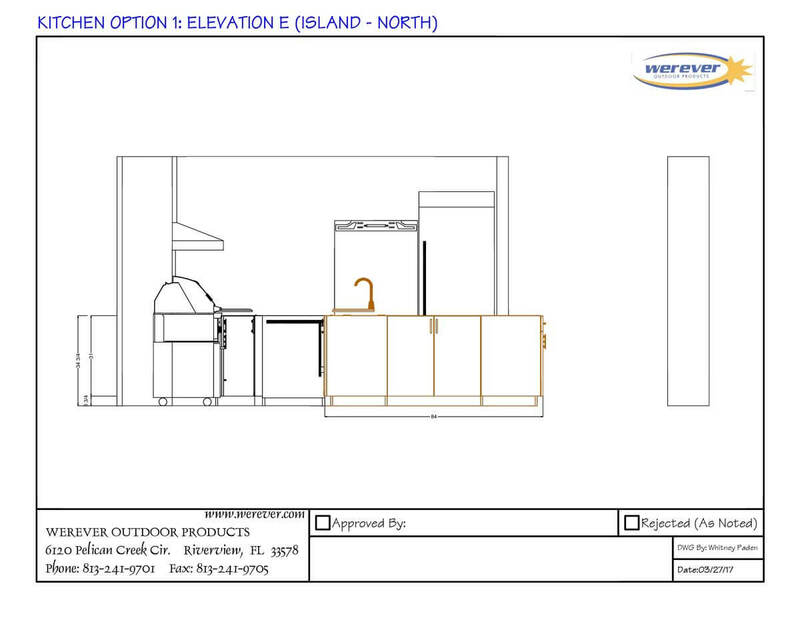 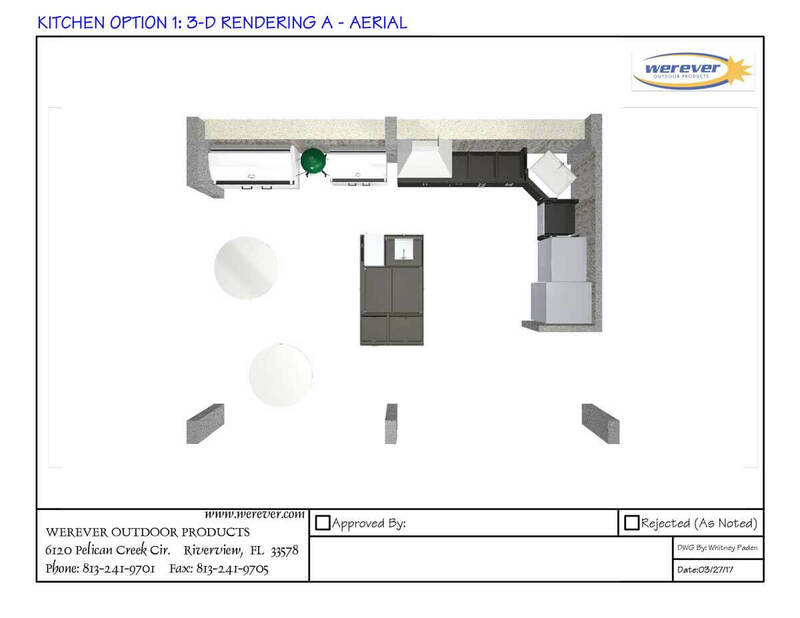 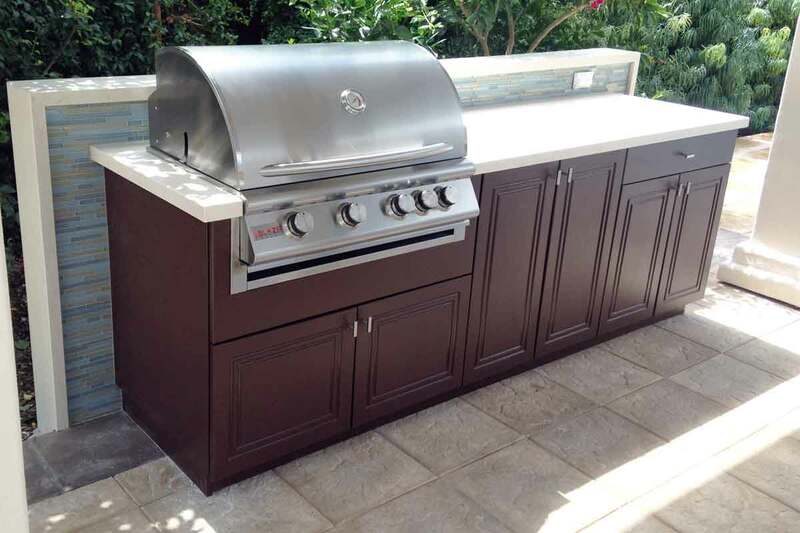 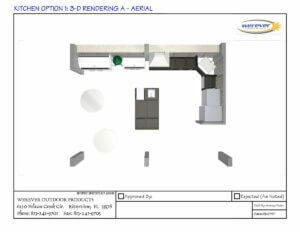 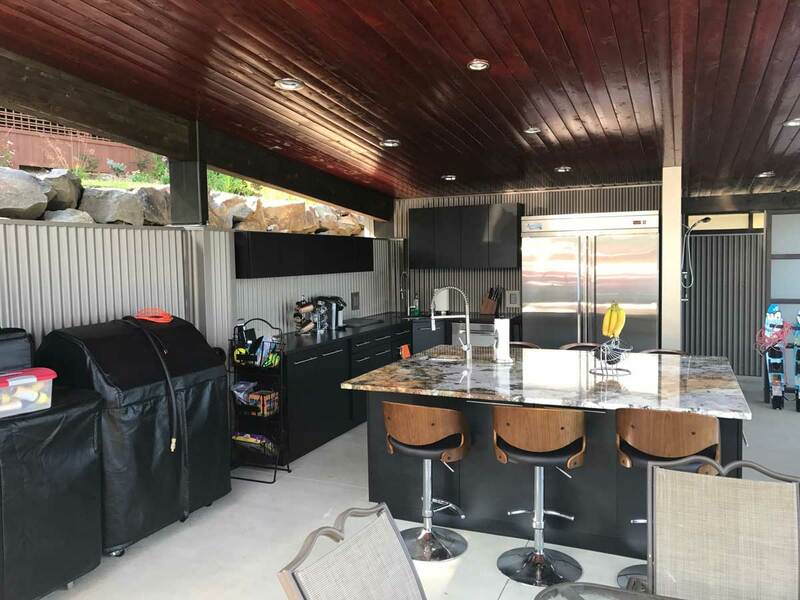 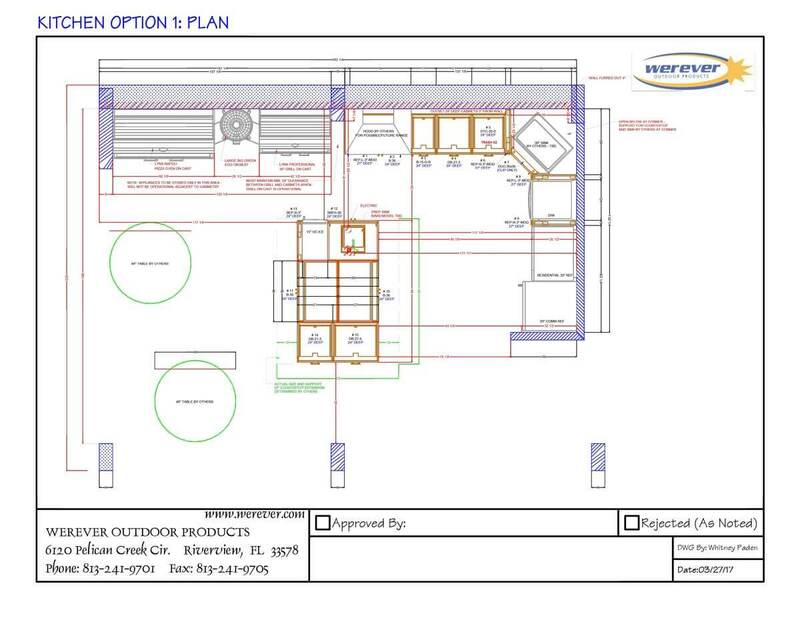 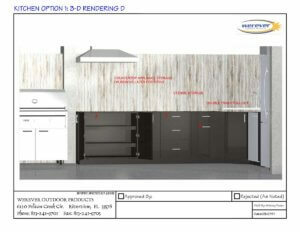 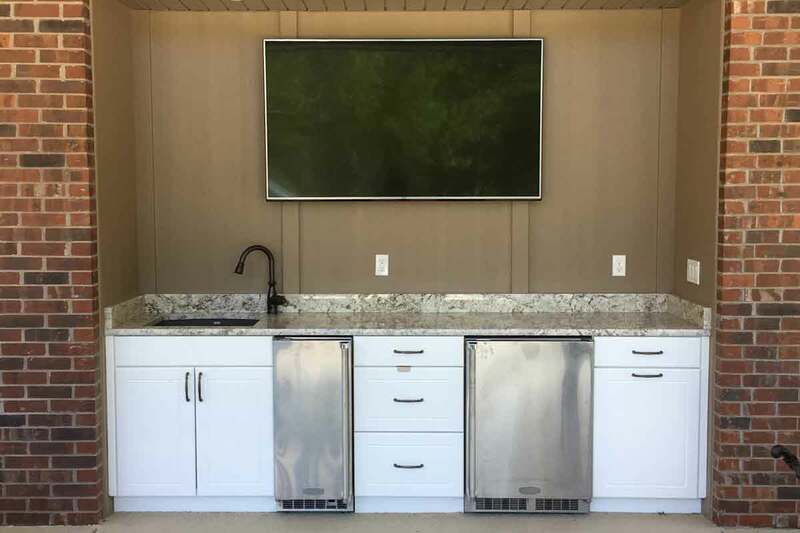 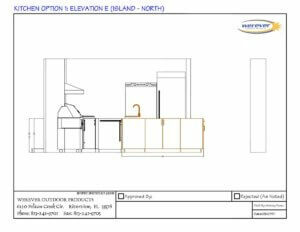 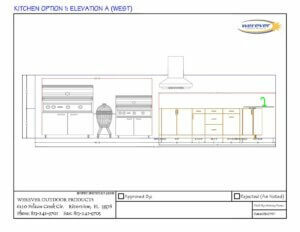 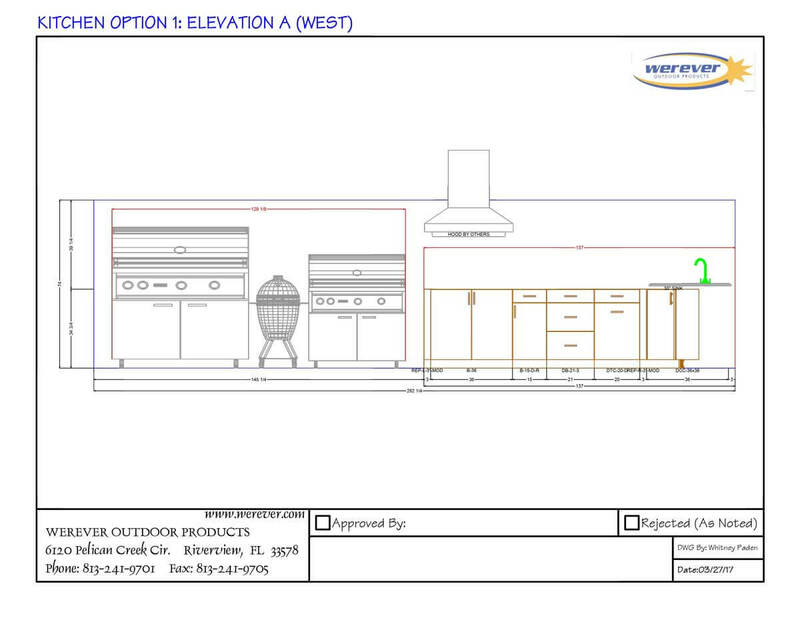 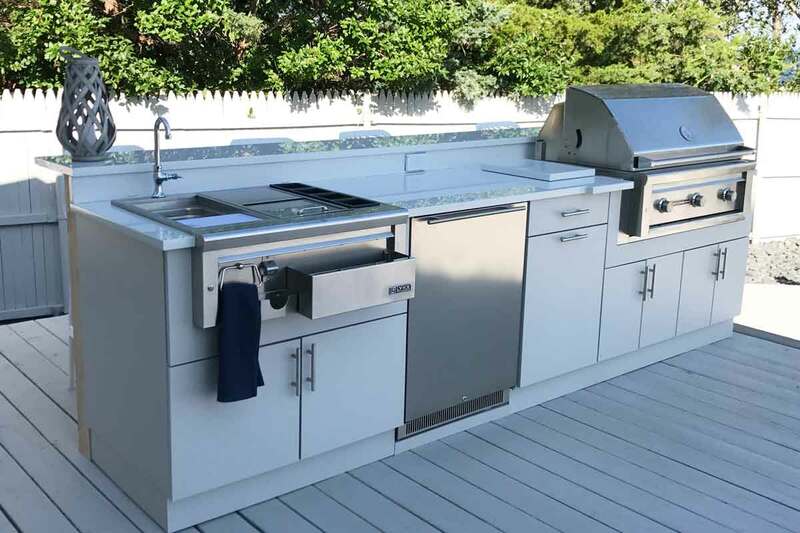 The client wanted the flexibility of having their Lynx Grill and Lynx Napoli Outdoor Oven on cart, rather than built in, so they could move the appliances throughout the pavilion depending upon their varying entertainment needs. 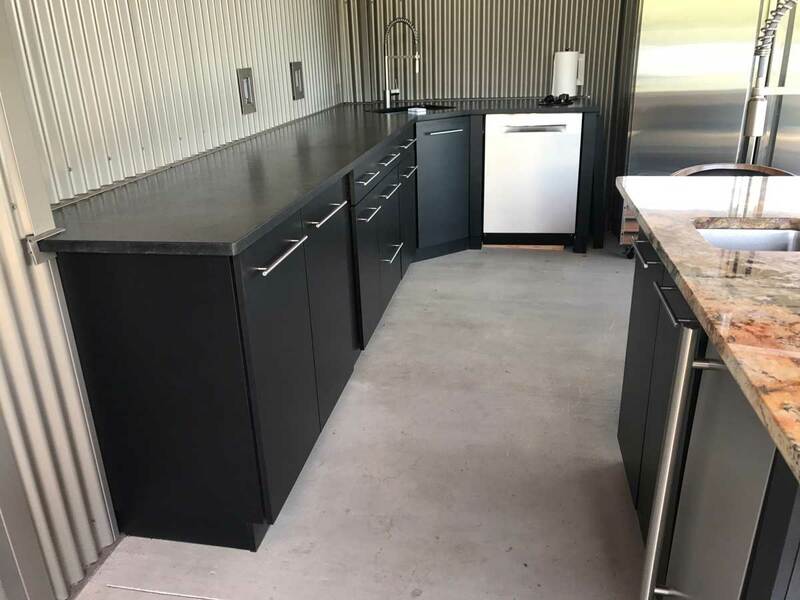 Base and wall cabinetry line the back perimeter, providing storage for cookware, small appliances, utensils, and dry goods, and a sink in the corner was planned with the convenience of a dishwasher under the counter to the right. 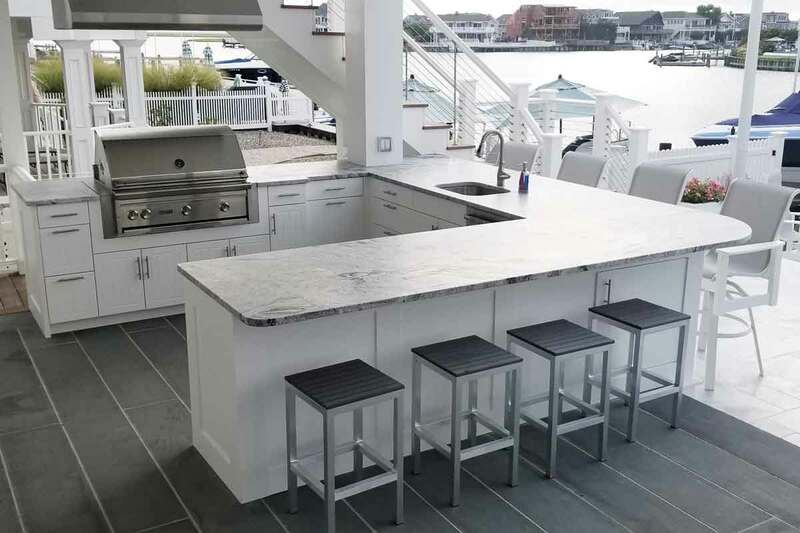 A substantial island anchors the space, and features plentiful drawer and door storage, a bar sink and ice maker, and countertop overhang for counter-height seating. 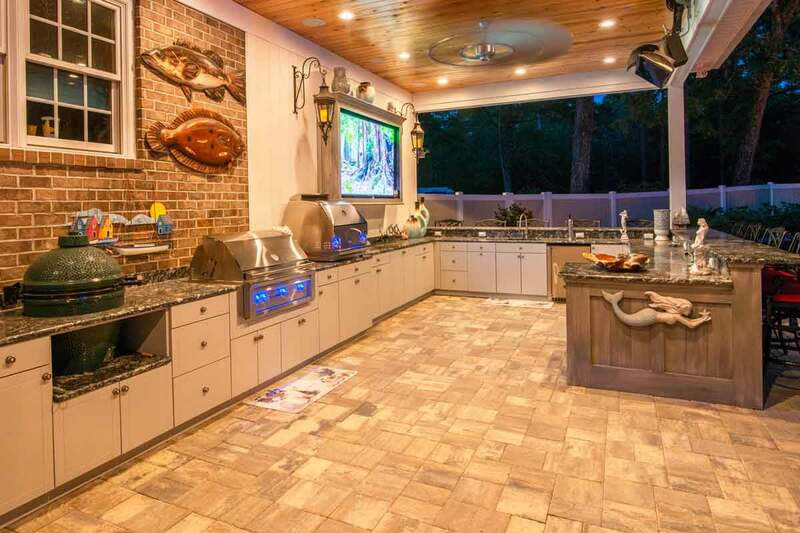 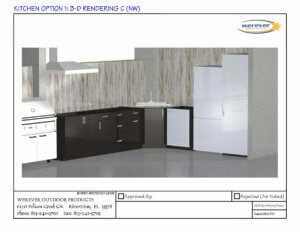 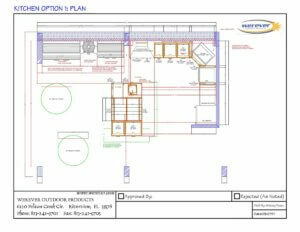 This client can entertain with all of the conveniences of an interior kitchen in the great outdoors.